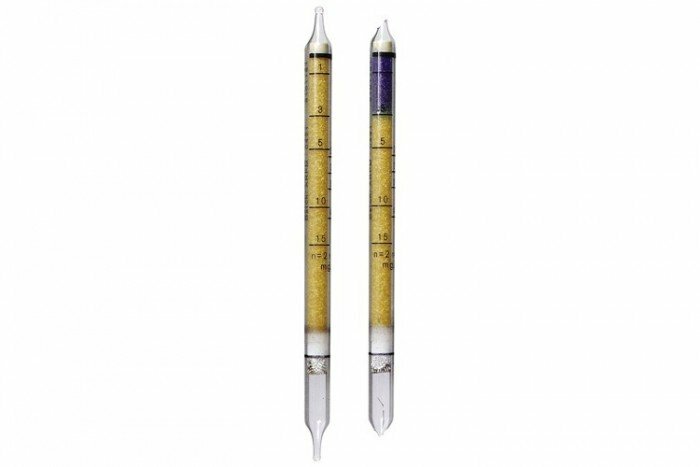 Worldwide, the Dräger short-term detector tubes have proven to be a very cost-effective and reliable way for the measurement of gas. Water Vapour 1/b (Measurement range: 1 to 40 mg/l). 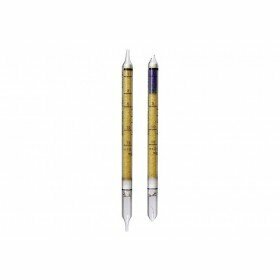 Absolute Humidity: up to 100% r.h.
Condensation in the tube causes measurement errors. If high r.h. (in excess of 80%) is to be expected, the temperature of the tube should be at least 5 °C higher than ambient temperature. Given a r.h. below 80%, the temperature of the tube should be at least equal to the ambient temperature. Acid gases are liable to cause plus errors. Basic gases are liable to cause minus errors. Shipping costs are dependant on delivery address and will be calculated at the time of checkout. Delivery costs are based on a maximum weight of 20kg and maximum dimensions of 40 x 40 x 40 cm. For orders exceeding these weights and dimensions, please contact us on [email protected]k for a delivery quote.